Life in Devon and the surrounding area can get busy. You need a vehicle that can keep up with your many needs. With the 2017 Volkswagen Jetta, available through the Wynn Group, you get a car that offers a mix of performance, safety, and convenience. It will help you keep up with your everyday life. As you travel on some of the faster roads in the Devon area, such Lancaster Avenue or I-76, the Volkswagen Jetta really shines. The car gets up to speed in a hurry, making it easy to merge into traffic, and to pass others when necessary. A feeling of confidence grips you each time you sit behind the steering wheel, so you always look forward to driving. You get to choose among three engine options, so you get the exact mix of performance and efficiency desired. A 1.4-liter turbocharged direct injection engine adds spritely fun. For an even sportier time, the 1.8-liter turbocharged engine still conserves fuel well enough. The most potent option is a 2.0-liter turbocharged engine, with 210 horsepower on tap. Other innovations smooth things out, so you always feel in control. For example, the available DSG 6-speed transmission makes for seamless gear changes, even under hard acceleration. A 4-corner independent suspension helps you attack corners without sacrificing comfort. Volkswagen has built a solid reputation for safety, and the 2017 Volkswagen Jetta proudly carries that tradition on. The car has earned a 5-Star Safety Rating from the National Highway Traffic Safety Administration. Also, the Insurance Institute for Highway Safety named it a Top Safety Pick, which is a tremendous honor. Rest assured that the front and rear crumple zones, plus a high-strength steel safety cage will protect you in an accident. Those designs combine with airbags to cushion any blow, helping everyone to walk away from a crash. Numerous systems help prevent trouble, so you avoid dangerous situations. Among the innovations is electronic stability control, electronic brake-pressure distribution, rearview camera, and a blind spot monitor. In the unfortunate event of an incident, the automatic post-collision braking system applies the brakes automatically, helping the Volkswagen Jetta to not roll and crash into anything else. The intelligent crash response system activates the hazard lights, unlocks the doors, and shuts off the fuel pump to prevent further danger. No matter where you go, whether it's near Devon, elsewhere in Pennsylvania, or out of state, you take along quite a few clever conveniences. With App-Connect, some of the favorite apps from your phone appear on the vehicle touchscreen, after you plug the device in. This means you don't have to learn other apps, but can use the ones with which you're familiar and comfortable managing. Because the Volkswagen Jetta includes Apple CarPlay and Android Auto, most modern smartphones work with this innovation. SiriusXM satellite radio allows you to enjoy your favorite music, live sports events, talk, and more from anywhere. You don't need to hunt for the right station as you go far and wide, so whatever you listen to never gets interrupted. 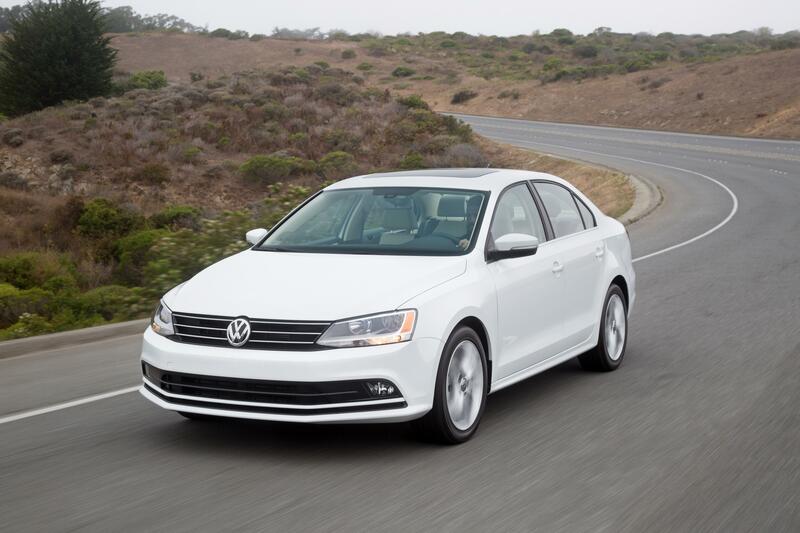 You can enjoy many more life-enhancing features with the Volkswagen Jetta. Visit the Wynn Group to try them out in person.